We all experience stress and mild anxiety at times, which can prevent us from enjoying life to the full. Some people are naturally more nervous than others or perhaps have specific worries or fears. Passionflower has been traditionally used to aid relaxation and, therefore, provides natural support to help you through difficult times.The Passionflower flowers are enchantingly beautiful, and its sweet, succulent fruit make a tasty snack. 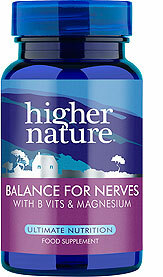 Less well known, perhaps, is its use as a traditional herbal medicine. Passionflower is reputed to derive its unusual name from its comparison with the Passion of Christ. 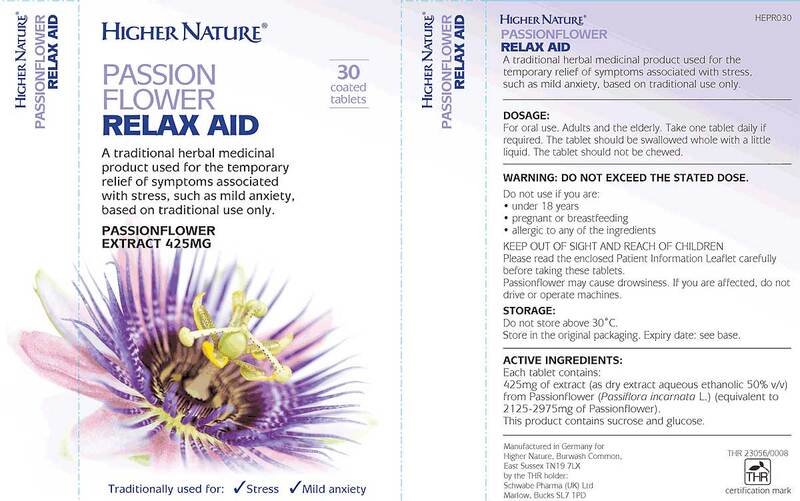 Passionflower Relax Aid is a traditional herbal medicinal product used for the temporary relief of symptoms associated with stress, such as mild anxiety, exclusively based upon long standing use as a traditional herbal remedy only. Independently assessed for quality and safety. 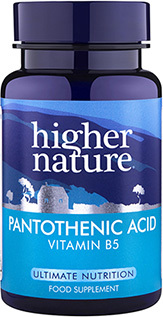 One tablet contains 425mg Passionflower (Passiflora incarnata L.) extract from the aerial parts, which is equivalent to 2125-2975mg Passionflower aerial parts. Flavonoids are its main active constituents. 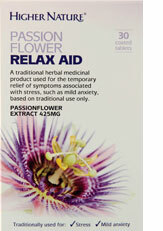 425mg Passionflower extract (equivalent to 2125-2975mg Passionflower aerial parts). Take 1 tablet daily if required (adults and elderly). 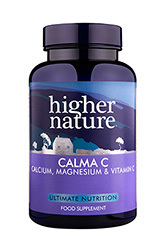 Not suitable if under 18 years, pregnant or breastfeeding or taking synthetic sedatives. Store out of reach of children.